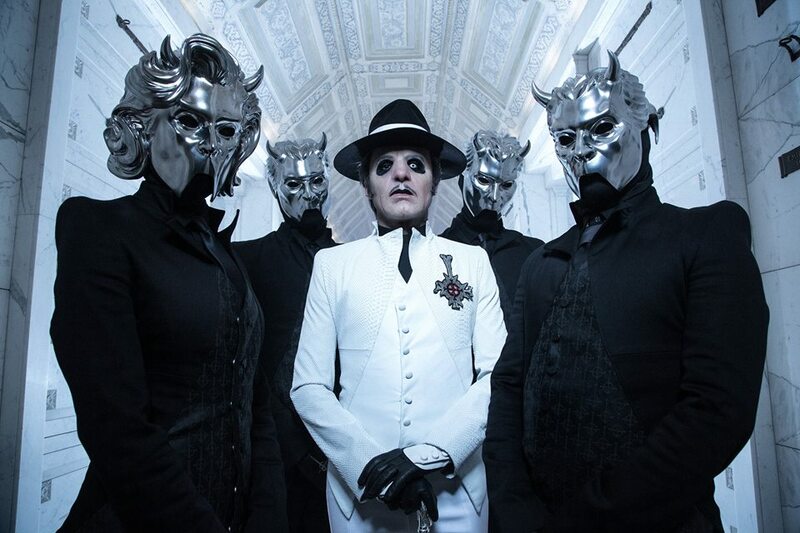 Ghost debuted a series of songs from the forthcoming album, “Prequelle”, during the launch of their 2018 tour at The Roxy Theatre in Los Angeles on May 4, and video from the show is streaming online. Led by new frontman Cardinal Copia, the Swedish outfit opened an 11-song set with a double-shot of “Ashes” into “Rats”, the lead single from their fourth studio record. Mixed in with fan favorites like “Cirice”, “From The Pinnacle To The Pit” and 2017’s “Square Hammer” was the live debuts of “Faith” and “Dance Macabre” at the club date, which was announced just 24 hours earlier with a ticket price of $6.66. The band recorded their fourth studio set with producer Tom Dalgety (Royal Blood, Opeth) at Artery Studios in Stockholm, Sweden.